Yes, you read that right. 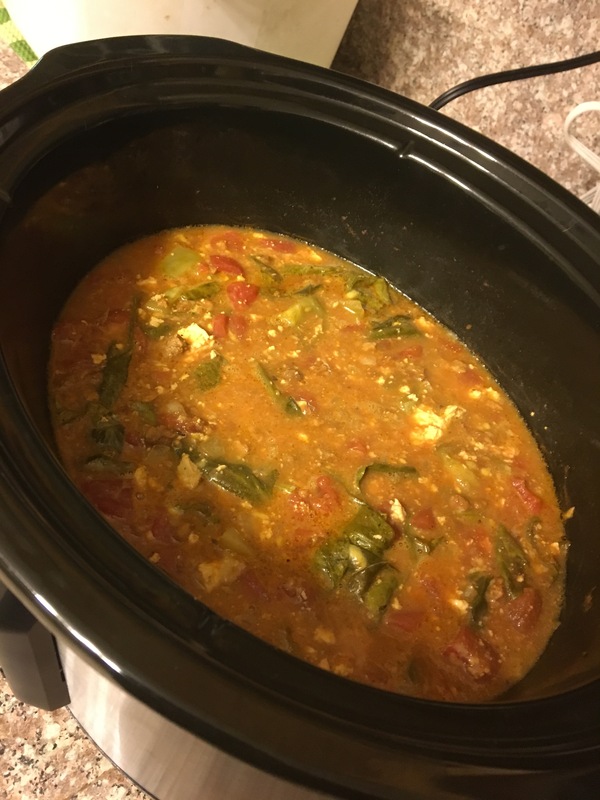 Here’s another quick and easy slow cooker recipe to fill up your freezer with tasty leftovers! 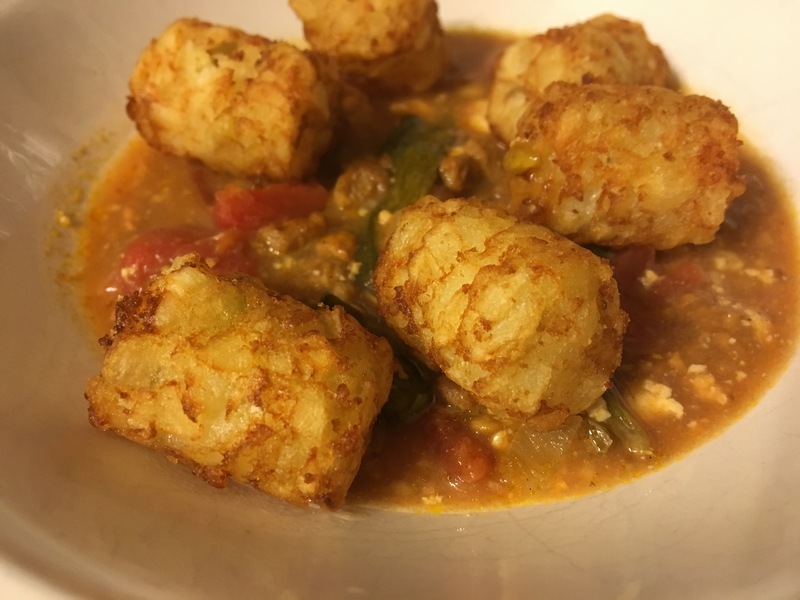 Mix all the ingredients EXCEPT the tater tots and cheese in a slow cooker. Cook on high for 6 hours. Add the vegan cheese and turn to low for 30 more minutes. While this is finishing up, cook the tater tots. Serve the chili in a bowl, topped with tater tots!